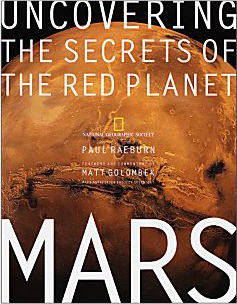 Paul Raeburn and National Geographic present a state-of-the-art report on Mars. Beginning with the mythology of Mars dating back to ancient times, Raeburn takes us on a tour through the earliest efforts to study Mars, including the “discovery” of its once-famous canals, and the many volumes of science fiction they spawned. This beautiful book will intrigue youngsters and adults alike, making it a perfect complement to the family coffee table, or the children’s bookshelf.